While his mother packs up their holiday home in France in the aftermath of marital disintegration, teenage Elliot – played by Lawther, last seen at the David Len as the young Alan Turing in The Imitation Game – roams the countryside. Where he meets an older local boy. 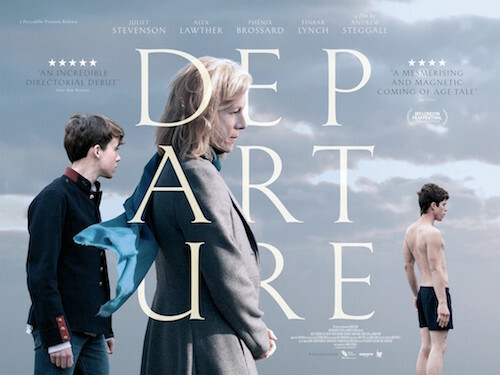 A delicate exploration of unspoken emotion set in a beautiful part of France, Departure is “Sensitive, sensual… with a winning turn from Lawther” (Empire Magazine). Review (Empire, cited above): review – I’m afraid it is a bit slow to load – while the Official UK Trailer can be seen below…..